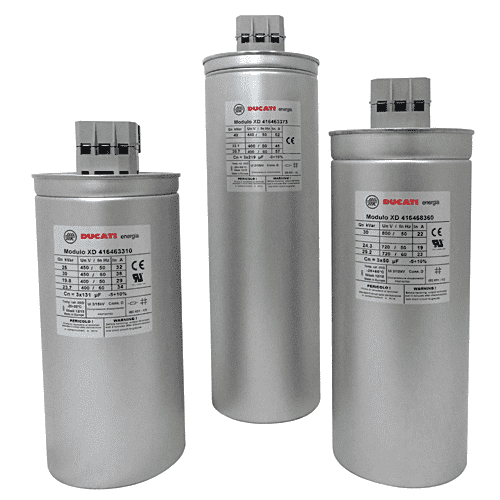 RE3 Voltage Stabilizers series are products with independent phase regulation, so it means that every single phase is treated through an Electronic Control Card individually, and a the same time it is managed by a microcontroller of the last generation, which controls the stabilizer operating. 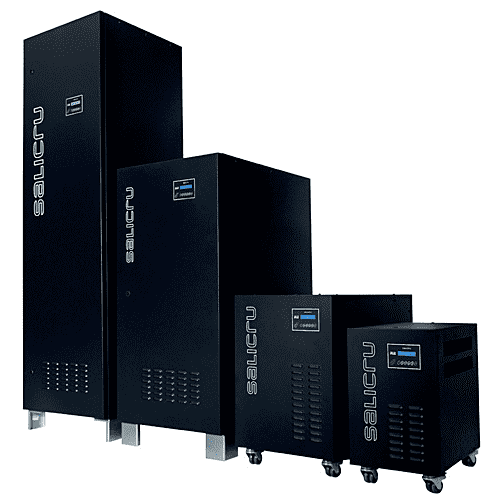 RE3 has a static Bypass in each phase, which allows shifting all the load to mains in case of any incidence and/or failure, protecting itself and avoiding a break in the power supply to the loads. 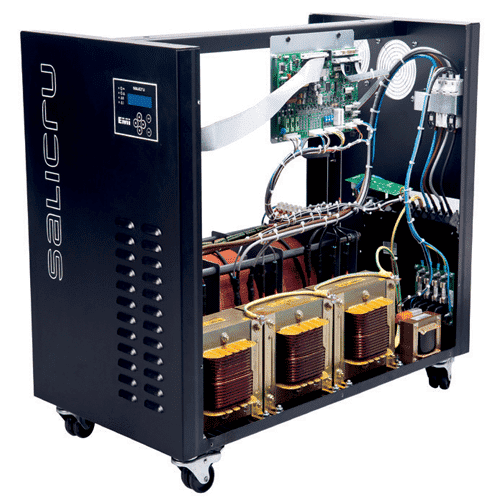 Although the standard input voltage range is ±15 %, under request it is possible to manufacture equipment with wider input voltage ranges, up to ±30 % (input window regulation). 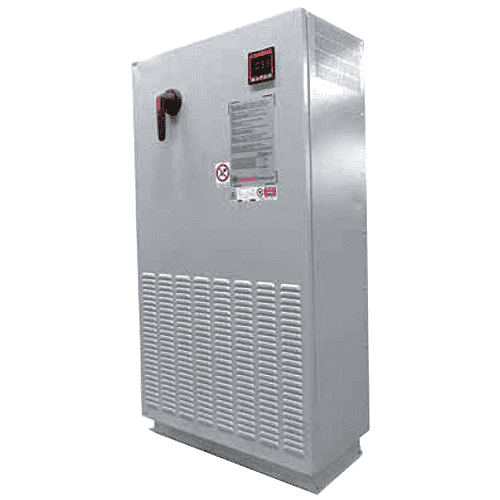 The voltage stabilizer provides protection against unexpected changes, irregularities, increasing and decreasing of mains voltage by means of an accurate voltage stabilization. 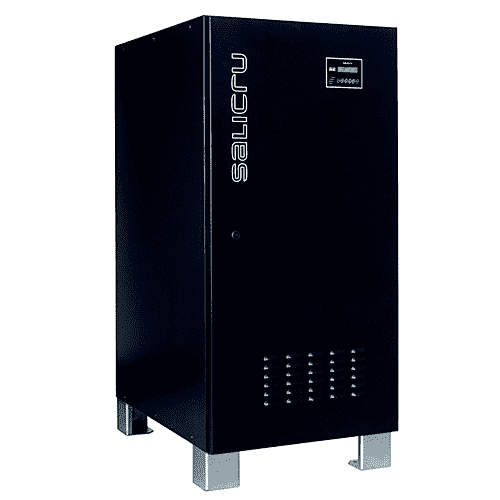 Input fuses or circuit breaker switches provide a protection to the load and the stabilizer against sustained overloads. The cooling depends on the model and IP protection degree, so it can be natural or forced in order to keep stable the internal temperature. 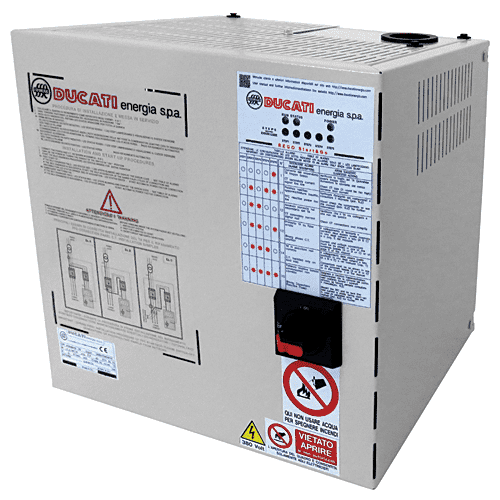 The equipment can include Maximum and Minimum voltage protections, supplying the needed control signal to break the output by means of a contactor, which can be fitted at the factory as an option, when the voltage exceeds the allowed limits or there is a mains failure. 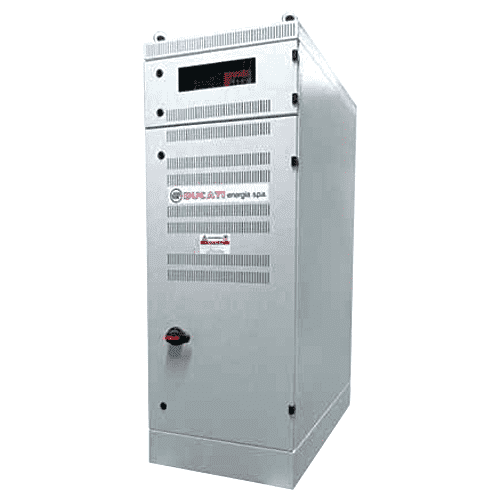 In order to keep protection against sudden voltage fluctuations, the supplied signal is delayed for few seconds. It is also possible to include an option, which breaks the output of the stabilizer in case of overload. 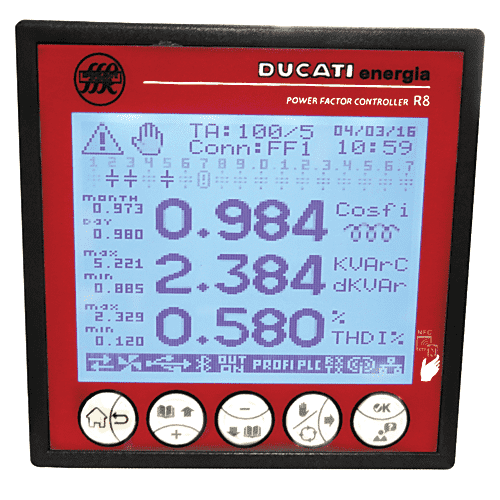 In this case, the output current transducers must be included, to provide this overload measurement. The stabilizer can include the Manual Bypass option, which is not ready to be manoeuvred with load. 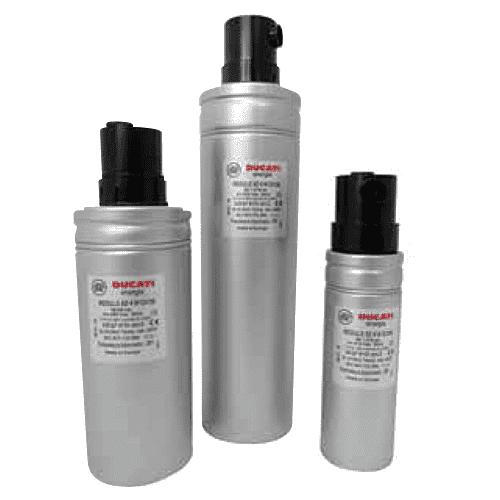 It allows supplying the loads during the maintenance tasks or stabilizer faults. 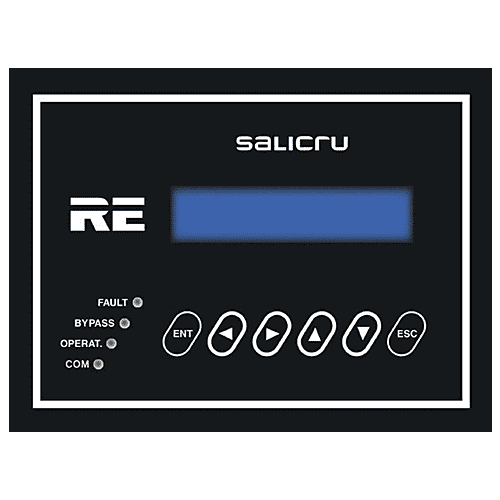 Regarding the communications, to highlight that the equipments with control panel has a slot, which allows inserting the SICRES Ethernet card. 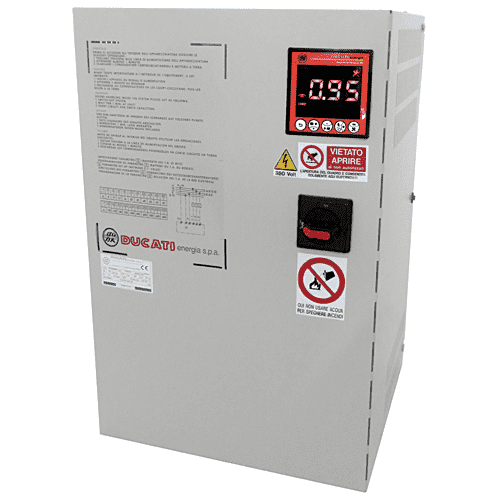 Under request, the communication of the stabilizer can be increased by one programmable dry contact connected to a terminal strip and even to install a communication module with two serial channels and 5 additional dry contacts, provided that the control panel must be included. Maximum operating altitude 2400 m.a.s.l. 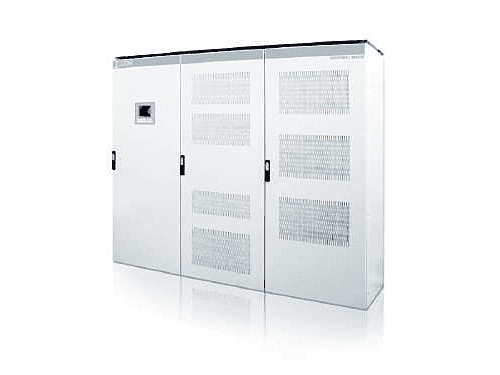 (3) For models with isolation transformer and other configurations, consult. Others powers upon request.